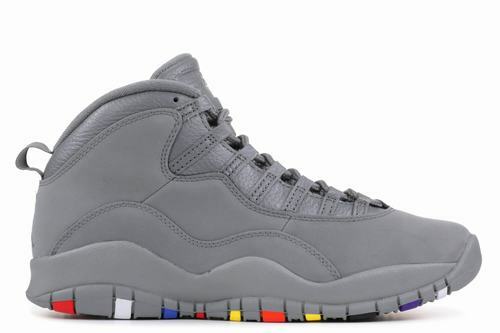 This was released in 1995 in 8 different colors, Black/grey, varsity-black, off-white/black/varsity red*, Powder Blue (worn by UNC's Men's and Women's basketball teams), Orlando Magic*, New York Knicks*, Seattle Supersonics*, and Sacramento Kings*. 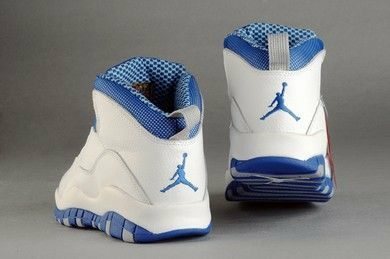 It was the first Air Jordan to feature a light weight phylon midsole. 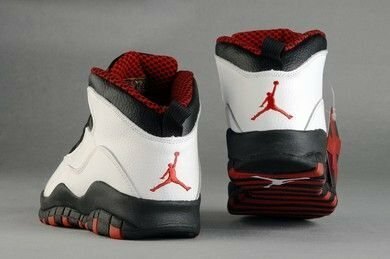 The shoe also featured all of Michael Jordan's accomplishments on the outsole of the shoe. 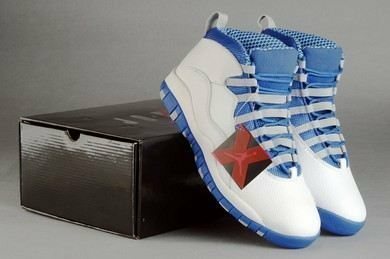 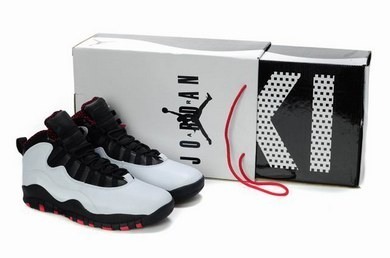 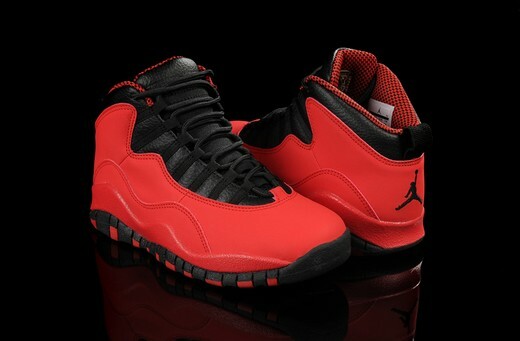 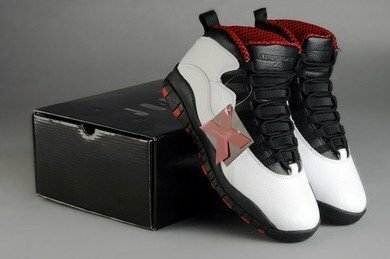 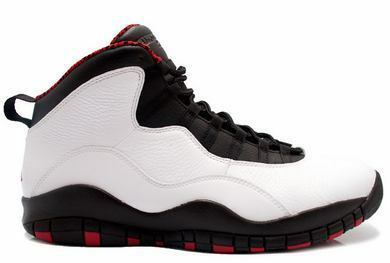 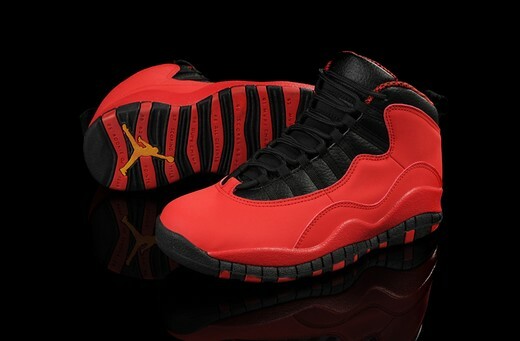 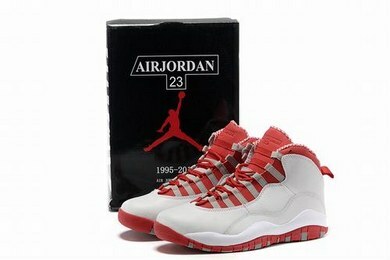 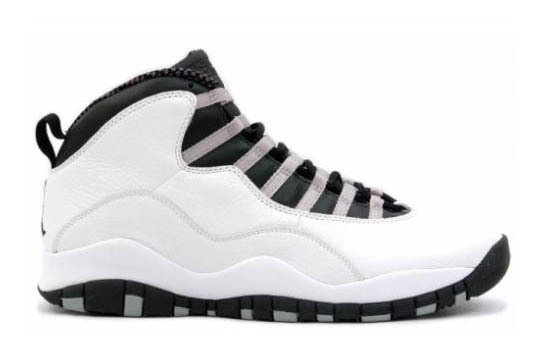 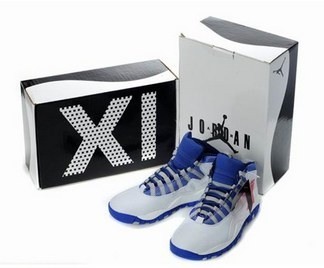 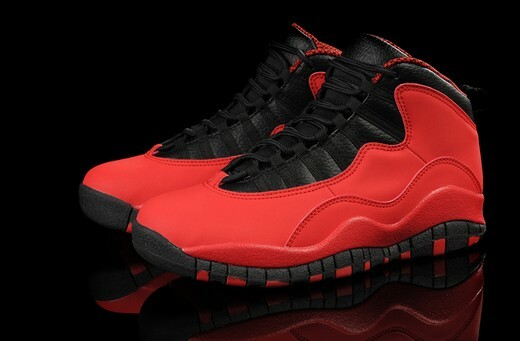 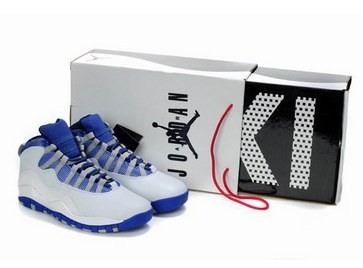 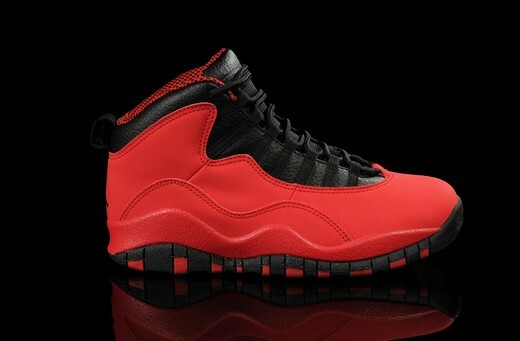 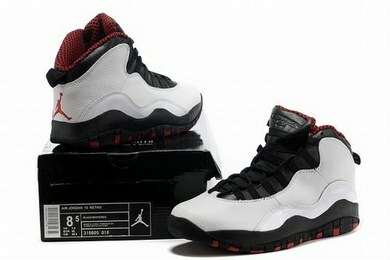 In 2012, the Air Jordan X was re-released. 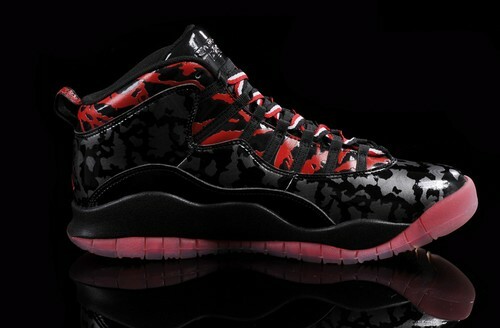 They are dubbed the "Chicago Bulls", as they are part of a regional pack (City Pack), representing five teams. 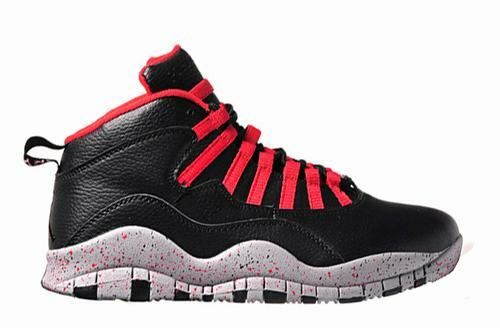 The lacing and tongue are completely black, and the red inner lining contrasts with the red inserts on the outsole. 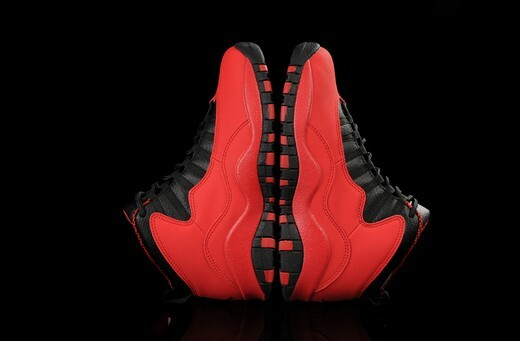 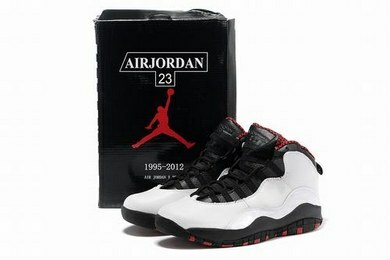 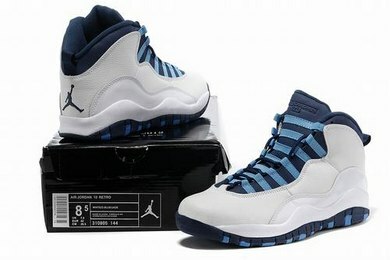 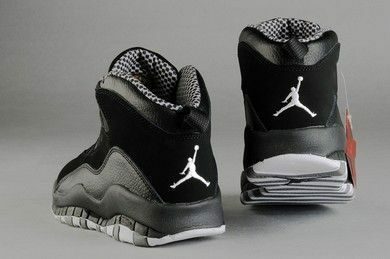 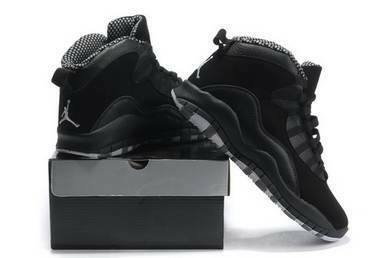 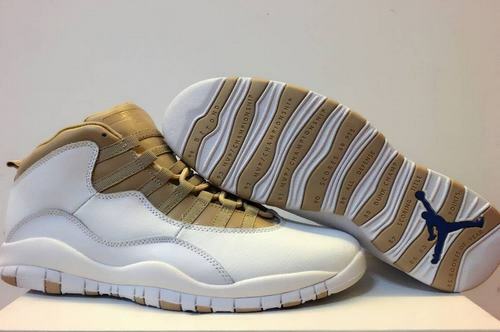 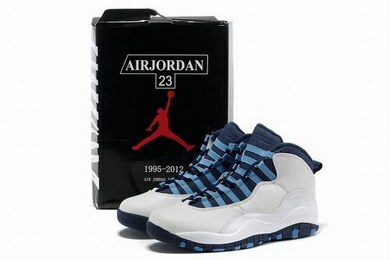 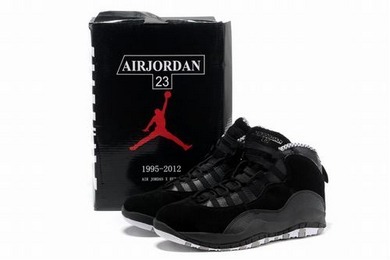 The outsole’s design features a striped (wavy) design, which list many of Jordan’s accomplishments. 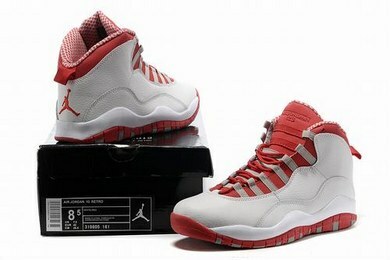 They will retail at $160. 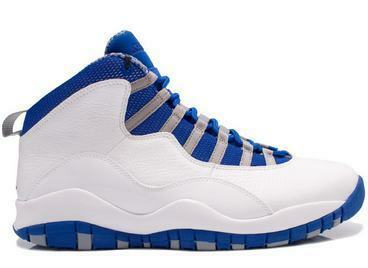 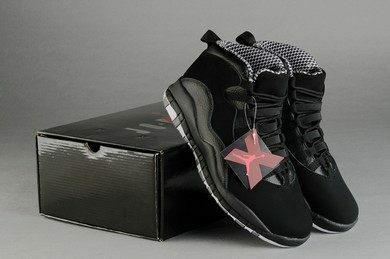 The Air Jordan X was originally released from 1994-1995. 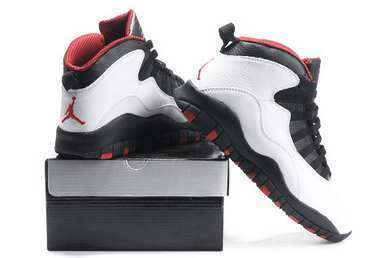 It was retroed in 2005, 2008, 2012 and 2013.